If you’re in your final year of university then writing your dissertation will be very real right now. The pressure of writing at least 10,000 words on your chosen subject could cause night sweats or your cool exterior to crack, but rest assured that you’re not the first to suffer at the hands of distinction hell and you won’t be the last either. We’ve all been there and we’ve all used every trick in the book to distract ourselves from the inevitable; that you can’t gain a degree or graduate without one! 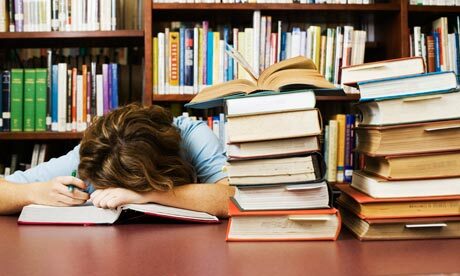 As student saviours, the kind folks over at Guardian Students have put together a feature on the very subjects of dissertations, with past students regaling their stories of the distraction tactics they employed. Then, once you’re finished reading you might want to get back to researching and writing that dissertation. There’ll be plenty of time to procrastinate and party once it’s been handed in!